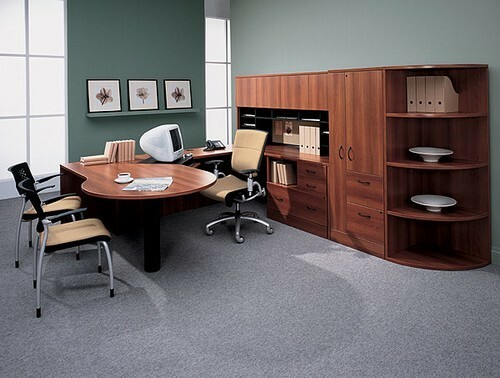 Adaptabilities: "U" Desk Workstation with Hutch from Global. Shown with Right Bridge Direction. 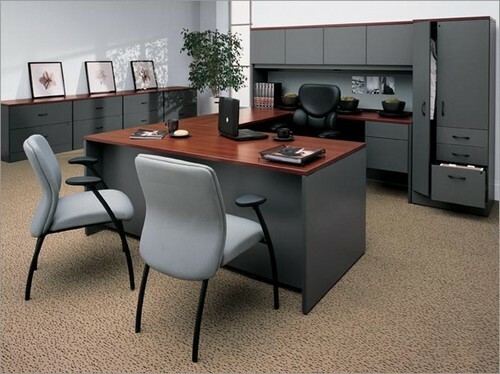 Many additional components and mix-n-match ensemble options are available, so let ofconcepts plan your office layout with our Free Space Planning! Our Price: $2,299.00 Free Shipping! 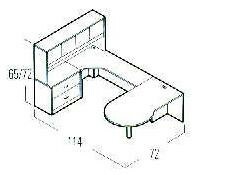 Layout includes: "P" Island Worksurface, Open Hutch with Door Kits, Extended Surface Return, and 2-Drawer Lateral File.